Sorry for the wait, blogging friends. 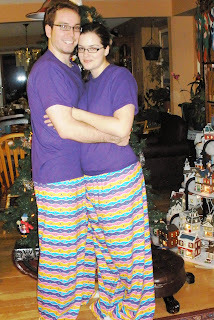 Finally, here are some pictures of this year's pajamas! 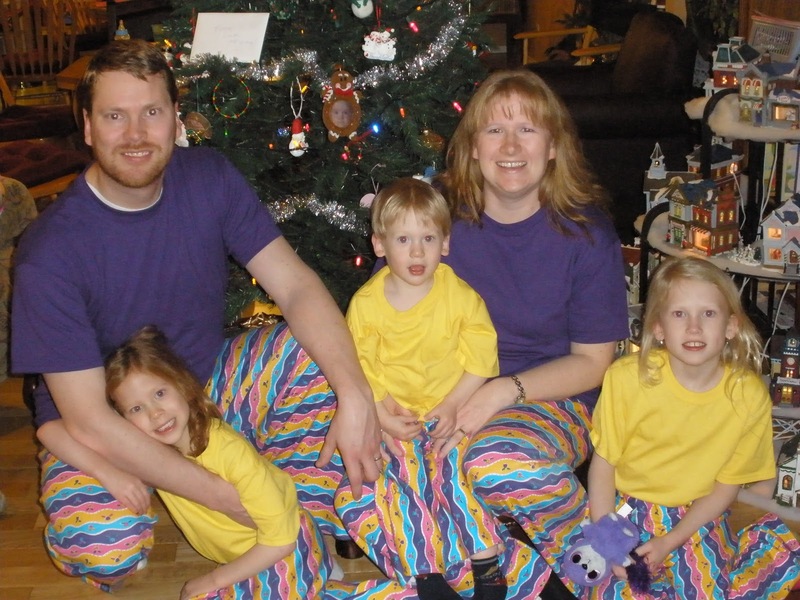 As modeled by our eldest son and his family, and our youngest son and his family. 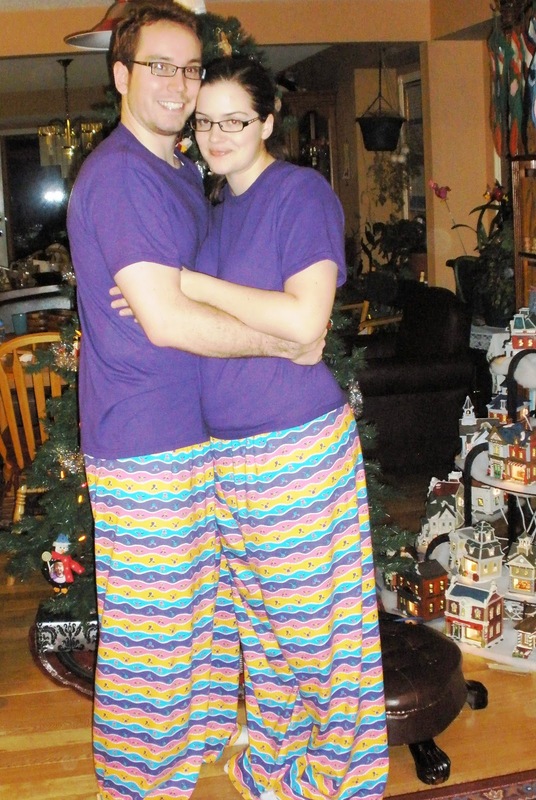 Both families are expecting new additions in the New Year!